i met with the E family on a chilly PNW evening in january. they came fully prepared to build driftwood boats for their son who had passed away nearly 6 years ago. 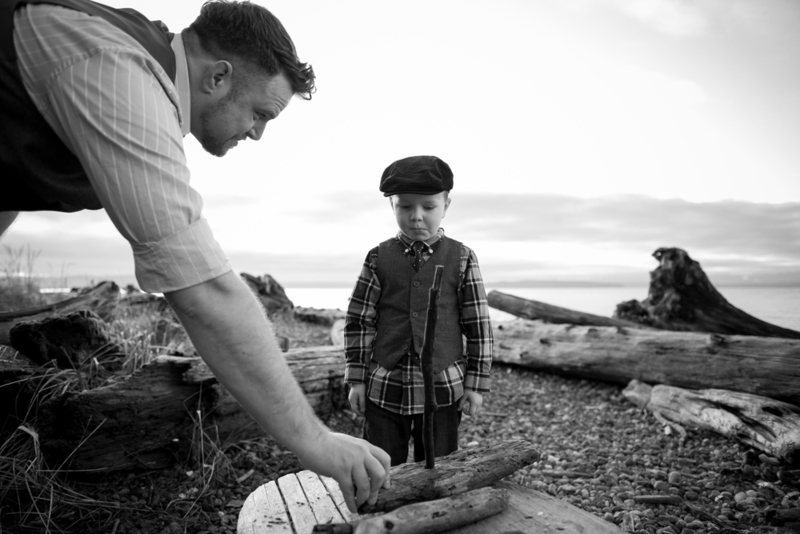 the plan was to gather driftwood, assemble the boats and then release them into the sound. there were drills + staple guns + buckets along with rain boots for getting into the cold water. they brought twine + markers. 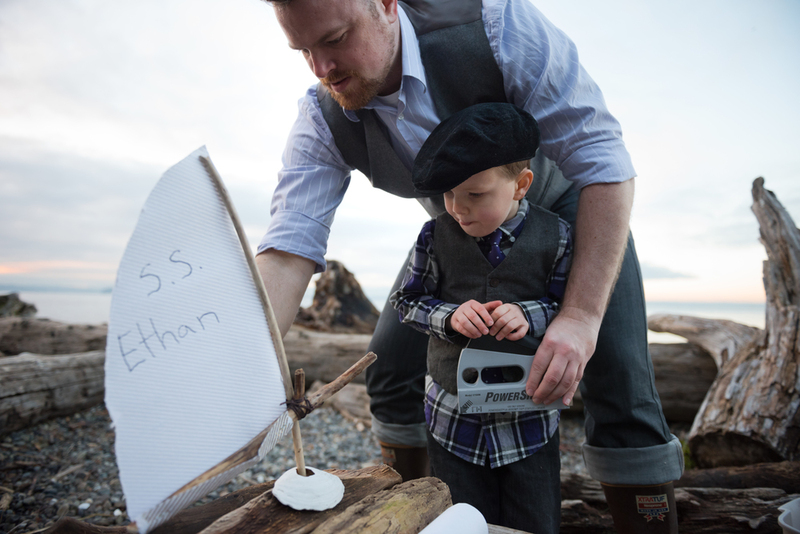 paper for sails + some of their son's favorite keepsakes. even brother was making a boat! it was fantastic. i watched as they settled into a nook on the beach. they prepared a workspace + got right to the very important task of boat building. they laughed + joked. they collected the perfect pieces + adornments for each of their boats. mr. E even did a float test on his piece of driftwood to assure it would stay upright in the water when the sail was attached. it was a beautiful ritual to witness. one could see how the love they continue to carry for their son was incorporated into the gathering and building of these driftwood boats. i thought it very poignant that ethan's mama took extra time to tie each stick together, binding them, one-by-one. i mentioned to her that it was quite like the job of a mama — seeing her hands working so hard to make this little boat come together. it will float — it will. it was a vision i will not forget. sails with special messages + thoughts were added. the handcrafted boats were complete. the sun had begun to fade into the horizon and it was time to release them into the sound. i was touched beyond words as i watched the E family set their boats to sail. as always, i find it a complete honor to be let into such cherished moments. i take each one of these stories, whatever it may be, to heart and i carry them inside of me. thank you E family for showing me your love for little ethan. he will never be forgotten.